Symbolic Sound’s Kyma Control for the iPad bundles four of the most popular Kyma controller-types into one, wireless multi-touch package that includes: a VCS, a pen/tablet controller, standard and Tonnetz keyboards, and accelerometers plus compass heading. Check out the video demo. 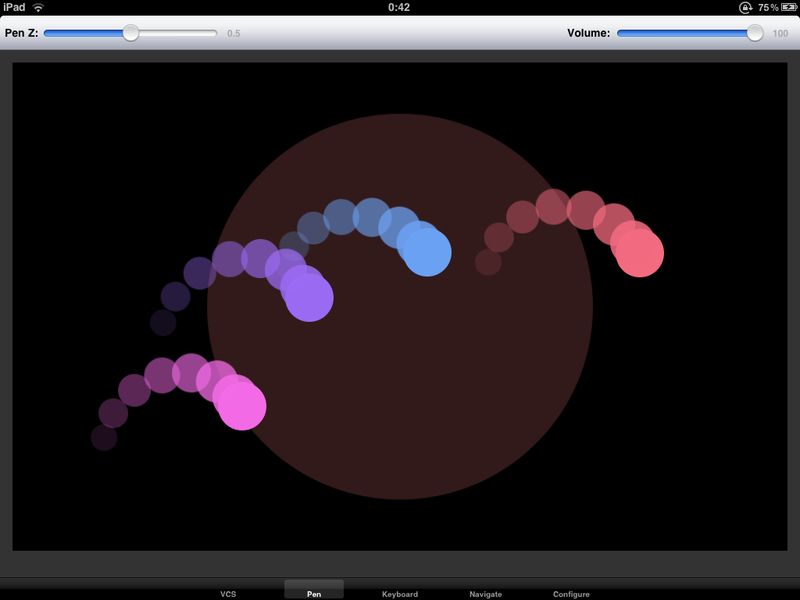 Kyma Control is available from the Apple App Store. Internationally acclaimed film composer, AR Rahman used Kyma (Harm Visser’s physical modeling toolkit) controlled by the Haken Audio Continuum Fingerboard to perform the lead on the dignified and ethereal Acid Darbari. Rahman’s full soundtrack, composed for Danny Boyles’ film, 127 hours, is available for download from iTunes, Rhapsody and Amazon Direct links available here: http://www.arrahman.com.